My Toddler is a Picky Eater. How Can I Get Him to Eat More Foods? 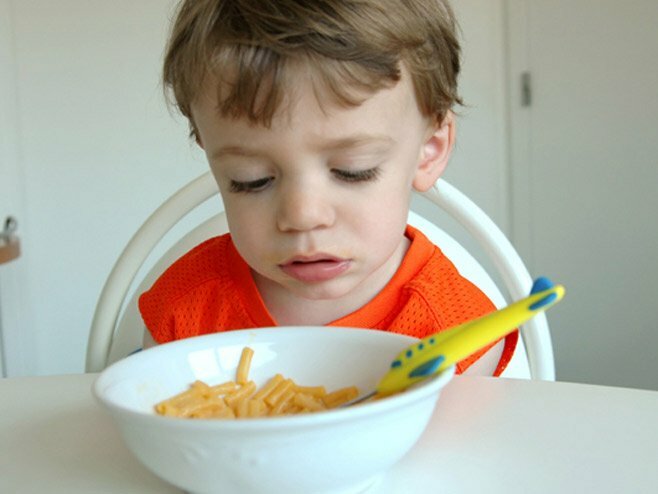 Little kids are biologically programmed to become picky eaters, usually starting around 18 months. Imagine us as hunter-gatherers – children were always at risk for plucking from a poisonous plant, so evolution probably endowed them with a healthy sense of caution towards new foods. For parents, this translates into periods (and in some cases years) of selective eating – kids will pick a few foods they like and shake their heads at everything else. So what should you do? First of all, picky eating is incredibly frustrating, but it's usually not a cause for real concern. The general rule to keep in mind is that if you're offering a range of healthy foods at every meal, you can more or less trust your child to eat what he needs. Appetites vary across the day, so be prepared for him to wave off an entire lunch sometimes – most likely he will make up for it at some other point, or even the next day. Try not to focus too much on any one meal. 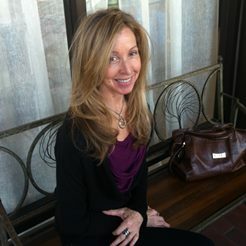 Keep trying – most parents give up after two attempts with a particular food, when studies show we should offer a new food at least 12 times before giving up. Don't "ask" if your child likes something or wants to try it (the standard toddler answer is "no"), simply put it on the plate. If he doesn't touch it, take away the plate without comment, wait a few days and try again. When a food is met with a look of disgust, try not to think of it as "he doesn't like this," but rather, "he doesn't know this food yet." Familiarity is the key — and remember that tastes change. Eat with your child when you can. And, as much as possible, try to eat the same foods you want them to eat. Kids learn from our behaviors, so if you're enthusiastically reaching for the Brussels sprouts, it gets coded somewhere in their brains and (maybe not right away) eventually it will have an impact. When your child refuses a food and says he's done, resist the temptation to urge "one more bite." Simply say it's still dinnertime (if you're eating together, say Mommy's not done yet and you want the company). Instead of saying he has to eat more, ask your child what he'd like to talk about. Pick a fun lunchtime topic and start gabbing about something riveting (the garbage trucks you saw earlier that day, or an upcoming activity with a favorite friend). If you focus on the food, a power struggle will ensue, so keep it light and social. Remember that it's your job to offer the foods (and keep them varied and healthy), but it's your kid's job to decide how much (or how little) to eat.